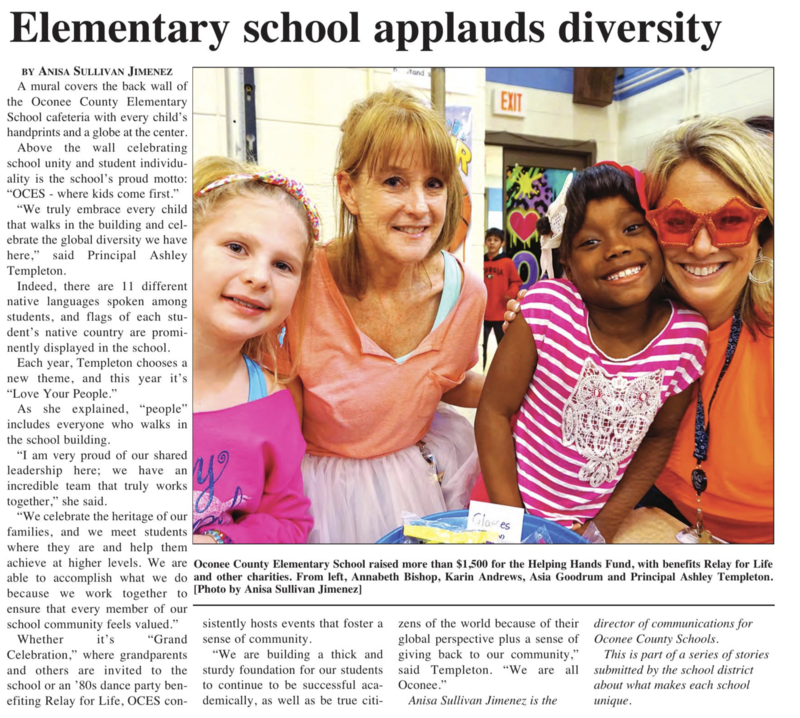 Welcome to 3rd grade at OCES! We pride ourselves on setting high expectations for students and creating a safe and positive learning environment. This will be a big transition year for students. They will need to adjust to a new building and a more challenging curriculum. The expectations for responsible work habits and quality of work will increase. Students will need to study material in order to have a successful year. We will focus on the following content areas: Reading, Language Arts and Writing, Math, Science, and Social Studies. All content areas are aligned to follow the Georgia Standards of Excellence. We will work on skills using supplemental programs such as: Accelerated Reader, Accelerated Math, Reflex, and Study Island. The end of year progress for students will be measured using the Georgia Milestones Assessment. We strive for our third graders to enjoy learning, reach their individual potential, and experience success. We look forward to a great school year!